Trolling gulleys and walking beaches, light scratching stick in hand, a few sardines…blacktail fishing! It’s called scratching for a reason – angling for blacktail is a great escape for when things are all quiet on the big baits. And they make a great live bait too. All you need is a christmas tree trace decorated with two or three or four tiny little hooks, a little bit of sardine and squid, with which to make up juicy little mixed grills, and a little sinker to hold it down. Chuck the rig into the white water and do your best to keep from tangling with the rocks. Blacktail bite hard and are easy to hook. They put on a great show, and a big one like the one featured will make you think you have a big shad. They swim and hunt with the shad and the angry little fish have even been caught jumping on lures meant for shad. They also happen out deeper, but mainly, sticking right in the shallows puts you in the game. You can find black tail all over the place, up and down our eastern seaboard. The Transkei Wild Coast and surrounds would literally be a blacktail guarantee. Staying with us down at The Umzimkulu Marina puts you in with a shout, only a short distance north or south. The KZN lower south coast has many, literally endless, rocky headlands strewn with gulleys and boulders and all sorts of features that the ‘tail love. Jonny van Biljon hoists his outsized blacktail, caught recently, on his honeymoon! 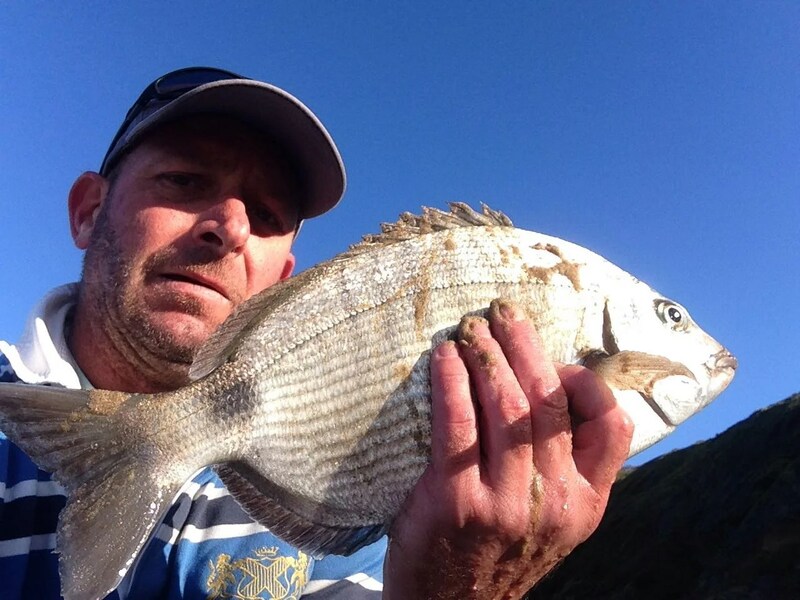 Get in touch on umzimkulu@gmail.com for any of your south coast fishing requirements.